The BenchTie will save time and money by allowing all benchmarks and ties to be plotted on worksheets for easy reference. The BenchTie is designed to be used with the information tag. Once the BenchTie is set and located, information can be recorded on the tag with a permanent marker. 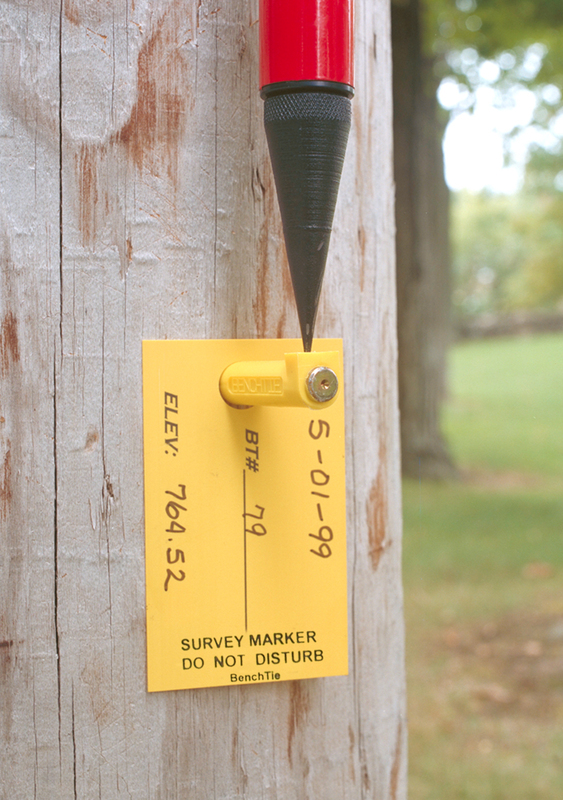 This will enable the surveyor to leave a benchmark that is easily identified and used by others. *​​​ High visibility tag for marking data. * Resections are made instantly and accurately. * Pre drill to set in concrete. The Vertical Surface Control Point.